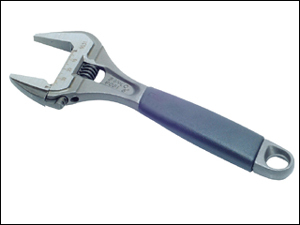 An adjustable wrench with ergonomic grip for user comfort.The Knurl is deeply grooved to facilitate adjustment. It has a thin and smooth shank, with thin jaws to give good access. Jaws angled at 15? to provide maximum access in confined spaces.